One of the biggest problems I’ve seen when working with clients, online or off, is the ability to get a consistent flow of clients coming into their business. There’s no real plan for getting them to take the next step once the business is on the customer’s radar either. For any business owner, a sales funnel is one of the most important marketing tools you have. But many entrepreneurs - both new and established - have no clear understanding of what a funnel is or how it works. The truth is, without fully understanding this crucial part of your business, you’re probably leaving money on the table -- fewer sales, lower profits, and ultimately, an unstable business with your customers simply floundering through. At its most basic, a sales funnel is built with content and typically requires nothing of your readers. 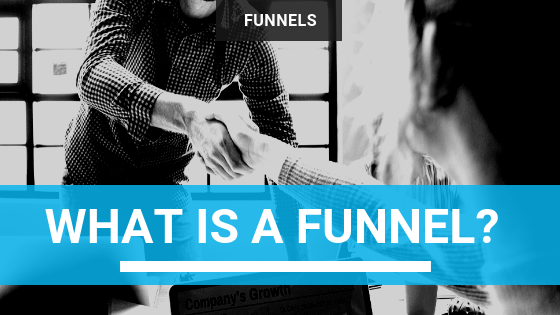 Many sales funnels begin with blog posts, videos, social media content, and other information that can be accessed at no cost. This is the “top” of your funnel. Next, you’ll have an attractive, valuable opt-in offer that requires a very small “payment” of sorts - typically an email address. This type of offer is seen on websites all over the internet. You've probably signed up for a few yourself. This is the free ebook or guide, video series, checklist, workbook, or other valuable content that is available in exchange for “opting in” to an email list. Once on your mailing list, you’ll then present your readers with a series of low-cost offers. Perhaps you have a low-priced ebook or a trial to your membership site. When customers purchase your low-priced product, they move further through the funnel and are presented with more valuable content and progressively higher priced products and services. As they continue to buy, they move closer and closer to your top-end offers, which make up the bottom of your funnel. Finally, as you near the tip of the funnel, only the most loyal of fans and customers -- those who know, like, and trust you --will purchase your highest priced offers. Most business owners can easily envision the top of the funnel. But if you truly want your business to grow, you must master the entire process, and that starts with understanding what a funnel really is and how it works.